Having been in business for 70 years, Joseph Miorelli & Co., Inc. is a leading provider and approved applicator of lightweight insulating concrete (LWIC) roof decks and Geotechnical Applications/Engineered Fills. With customers spanning 11 states in the Mid-Atlantic and Northeast Region of the U.S., Joseph Miorelli & Co., Inc. has been installing lightweight insulating concrete applications for both new construction and reroofing projects for 50 years. Services include; Lightweight Insulating Concrete (LWIC) contractors for new construction, reroofing, geotechnical applications/engineered fill, and interstitial floors. 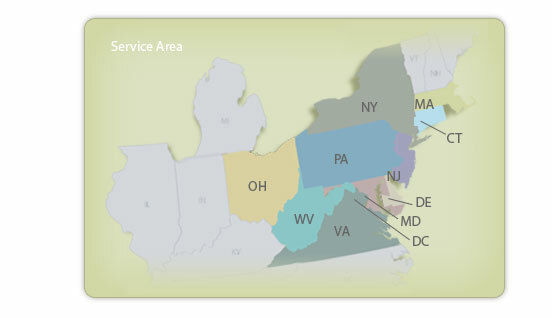 While coverage area continues to expand, the current territory includes PA, NJ, NY, DE, MD, CT, MA, DC, VA, WV and OH. Joseph Miorelli and Co. continues to uphold its reputation as an industry leader.